Back in June and July I ran a two eight day workshops in Iceland, home to some of the most dramatic and photogenic landscapes on the planet. It's always a pleasure to return to Iceland and showing it to people on a workshop for the first time, seeing people just go "wow, what an amazing place" is one of the best parts of my job. The first workshop this year was a tour of the ring road taking in the sights of the south and north, the coast, the waterfalls, the peaks and geothermal areas, and after gathering in Reykjavik we set off on the first morning for the area around Vìk with the black beaches of Reynisfjara, the rocky outcrop of Dyrhólaey and the waterfall of Skogafoss. Our two days here were characterised by heavily over-cast weather and lots of rain, which always makes shooting a challenge, but the locations really are stunning and look great in any weather. 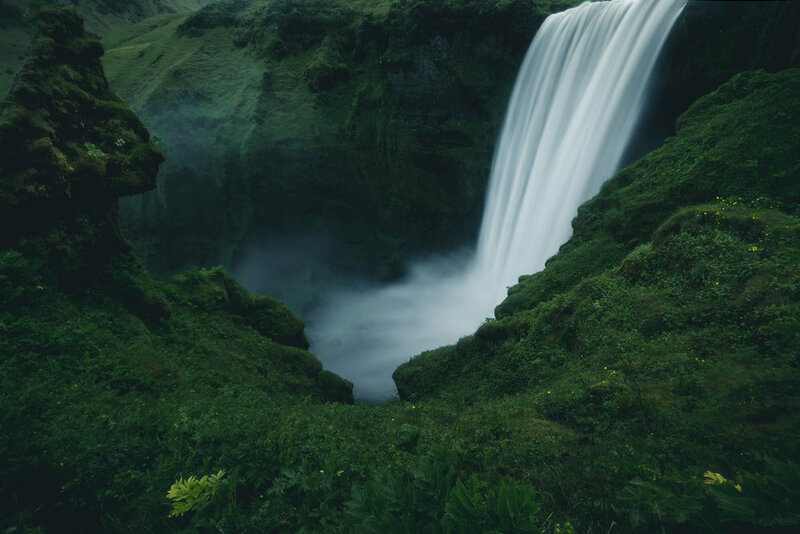 The face-shaped rock overlooking the waterfall at Skogafoss. 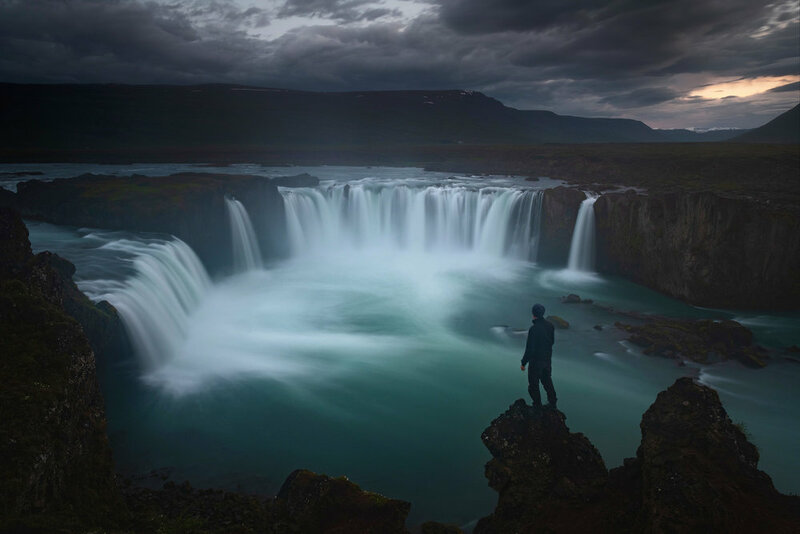 A self-portrait at the waterfalls of Seljalandsfoss. 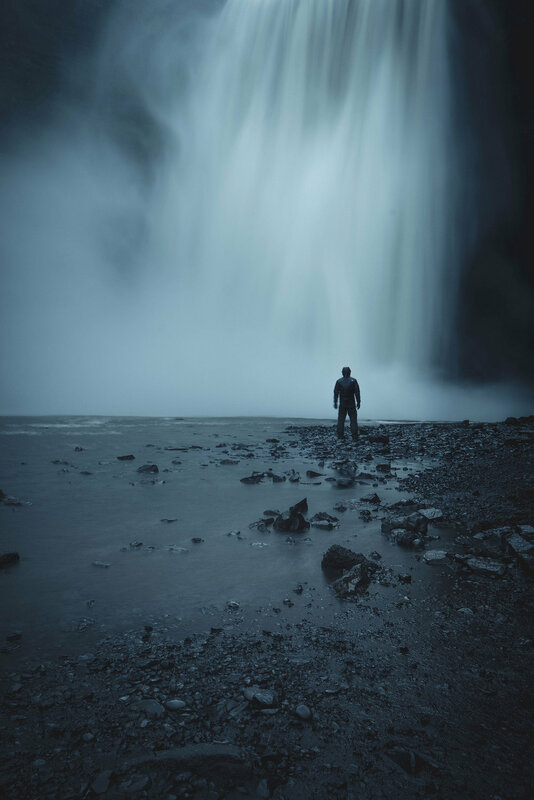 Standing close to the foot of the powerful falls of Skogafoss is an intense experience. Our next base was the lovely town of Höfn on the south east coast. 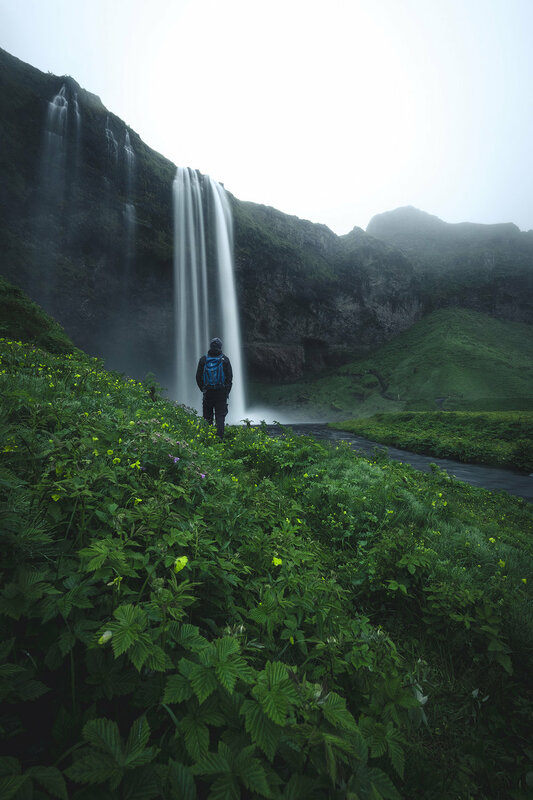 It's a long drive from Vìk across the south of the country passing through Skatafell national park at the foot of the Vatnajökull glacier and some incredible landscapes. Our hotel in town was lovely, in fact all the places we stayed were excellent with large comfortable modern rooms, and close to some excellent restaurants - the quality and variety of food we ate in Iceland on this trip was a real surprise. The town is perfectly situated beneath the stunning peaks of the Vestrahorn, one of our first shooting locations and where we were blessed with one of the most incredible skies as a colourful sunset merged into an even more colourful sunrise. 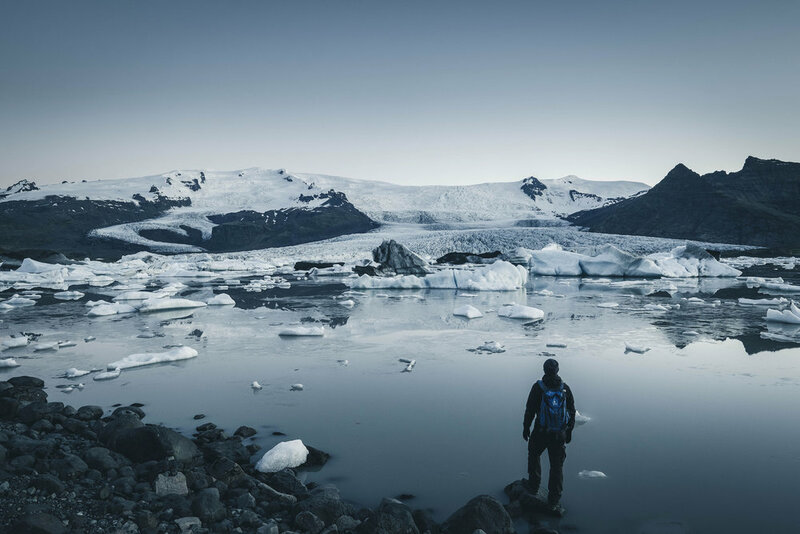 Close by are also the iconic glacier lakes of Fjallsarlon and Jokulsarlon, our destination on our second evening here. The peaks of the Estrahorn at sunset. Another panorama of that incredible sunset. A panorama of the black sand dunes and jagged peaks of the Vestrahorn midway between sunset and sunrise. 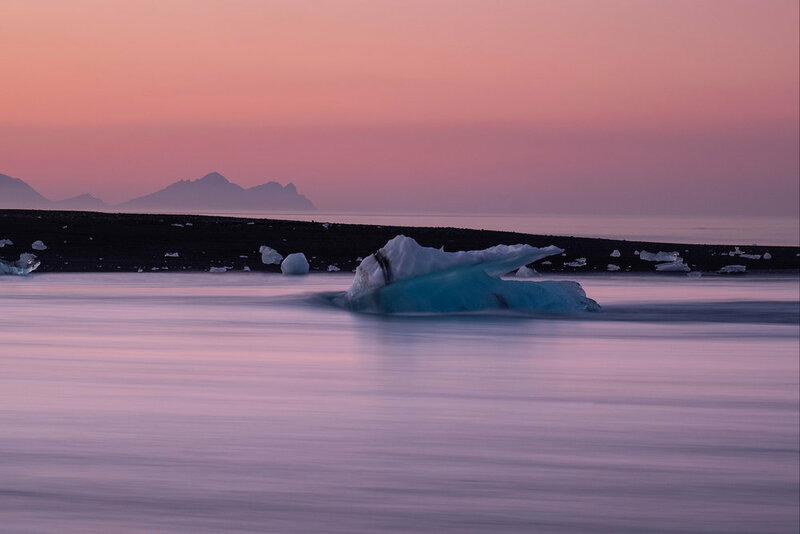 Icebergs washed up on the black sand beach at Jokulsarlon with the distant peaks of the Vestrahorn beyond. 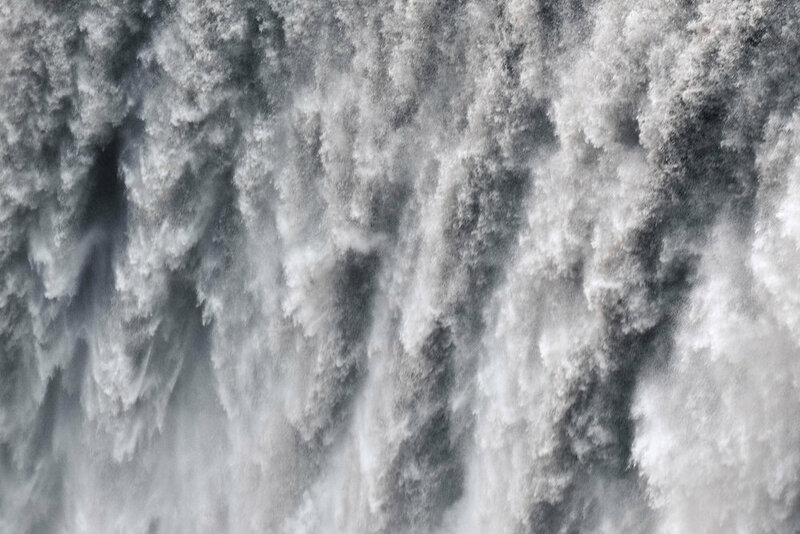 After a couple of days in the south east we headed north and west to the other side of Iceland, home to some of the most impressive waterfalls and the vast geothermal desert of Hverir and Namaskard. 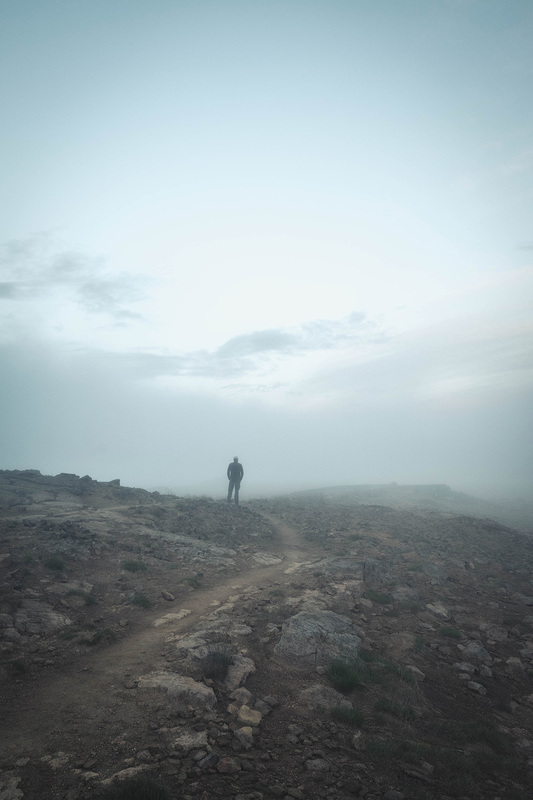 Once again we were blessed with some fantastic weather for photography in this other-worldly place. 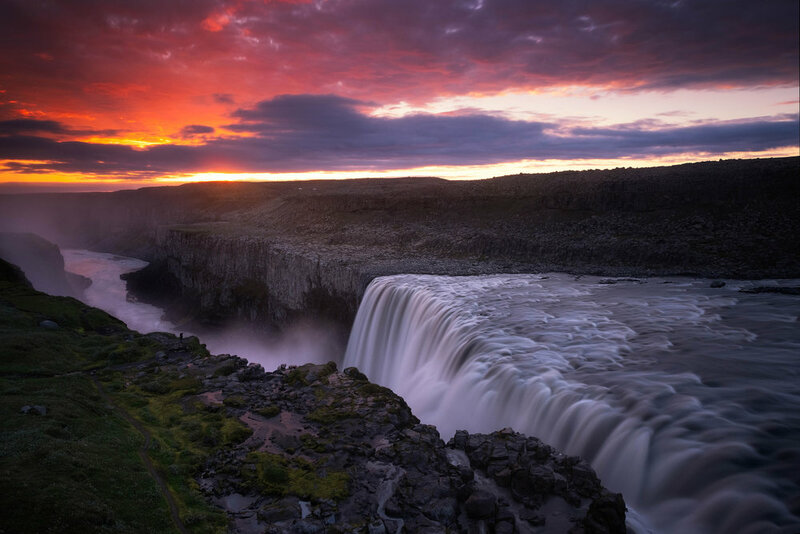 Just before the dawn at Godafoss. 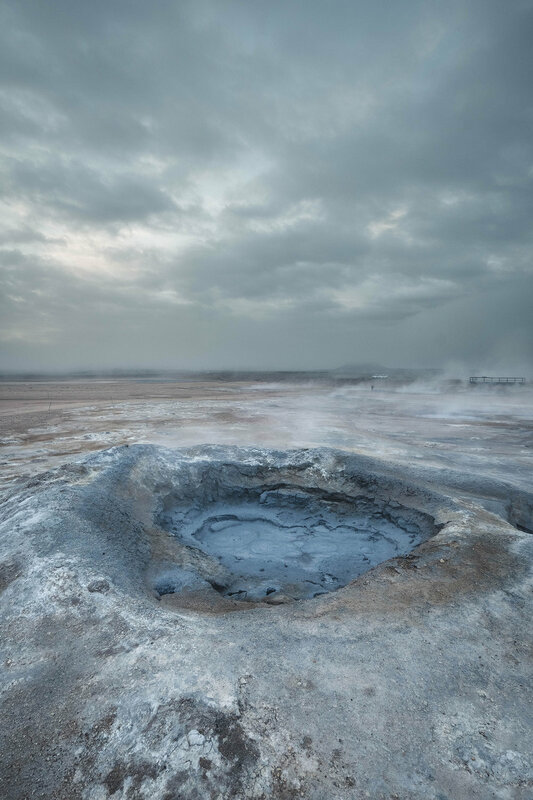 Below are images taken on a misty walk around the fumaroles and boiling mud of the Hverir geothermal area. 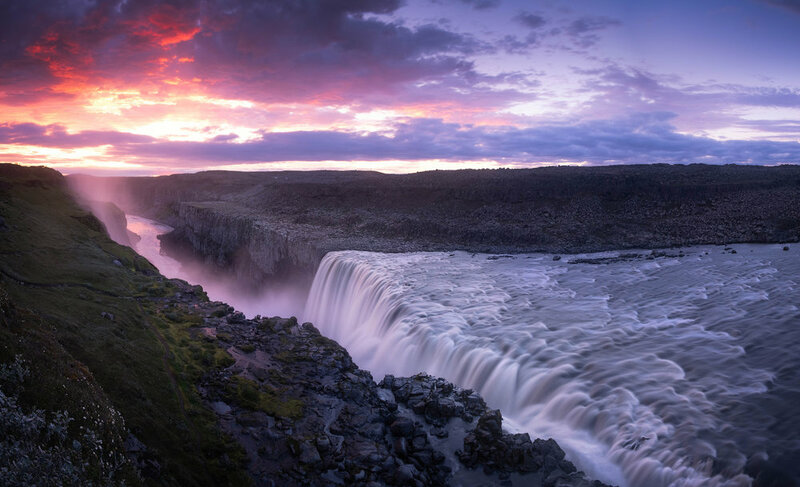 Pre-dawn at the huge falls of Dettifoss. After a couple of days in the north we made the drive back to Reykjavik and said goodbye to the participants for the first workshop. It was a fantastic 8 days travelling Iceland with a group of awesome people, some of whom we'll be meeting again in Lofoten next February. We had a day's interval before the next workshop started when I made the first of two aerial photography flights above Iceland which you can read about and see the video in my blog. I'll be returning to Iceland in 2019 to lead another workshop and we'll be visiting many of these locations, along with Landmannalaugar in the Highlands. If you'd like to join me take a look at my 2019 Landscape Photography Workshops. Alternatively you can sign up my newsletter for more information about workshops.